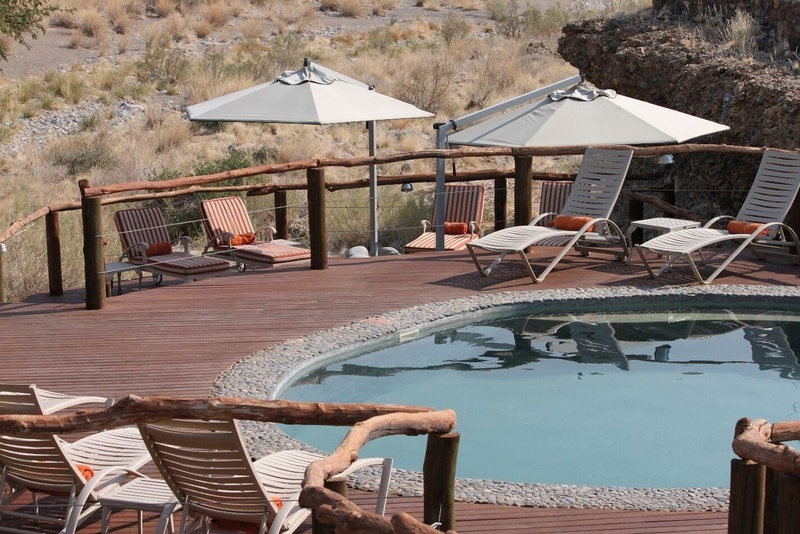 Set on the banks of the Tsauchab River, with an epic backdrop of mountains, Hoodia Desert Lodge offers comfortable accommodation and superb hospitality in this sweeping desert landscape. 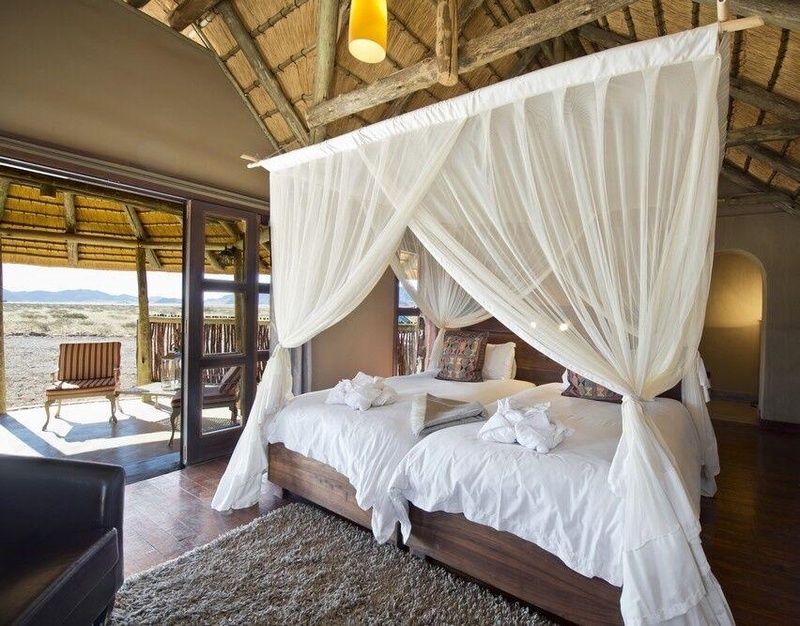 The lodge boasts 11 thatched chalets, purposely positioned apart from each other to ensure guests have the space to unwind and enjoy the surroundings in privacy. Each has its own shaded deck in addition to en-suite bathrooms with open-air showers and large bathtubs. As well as your room, the lodge has several areas for relaxing in between activities, from the lounge – complete with a fireplace – to the pool area. There’s also a spacious outdoor terrace, the perfect spot to watch the sunset colour the landscape stunning shades of orange and red. Ask our Namibia specialists to include Hoodia Desert Lodge on your luxury, tailor-made holiday and you will find yourself a mere 20 minutes from the iconic, fiery-red dunes of Sossusvlei. As well as excursions to the dunes, the lodge offers a variety of off-the-beaten-track experiences taking in little-visited corners of the desert. Activities are led by professional guides who will give you a deep insight into the region’s flora, fauna and geology.